It’s episode 5 of Pride & Prejudice and everyone’s lives are ruined. Mr. Wickham has run off with Lydia and the Bennet household is in despair. Mr. Collins helpfully comes by to remind them that they would be better off dead. Mr. Bennet will definitely be killed fighting. 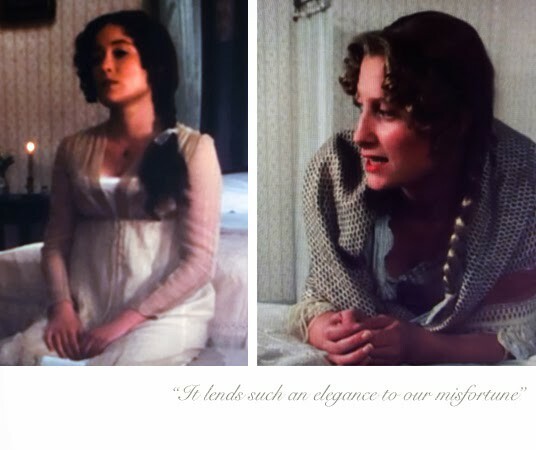 Mrs. Bennet won’t leave her room, which “lends such an elegance” to their misfortunes. Why even bother getting dressed when you’ll never see Mr. Darcy again? Pajamas – A basic pair of pajamas in white with navy trim on sale at J. Crew. Shawl – It must have been so, so cold in those british country homes. 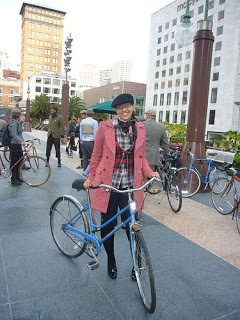 A $45 print shawl with pink fringe helps a tiny bit. Robe – $420 for a taupe cashmere robe? Why not. You’re going to end up the poorhouse soon enough anyway. Slippers – I really, really want a pair of these ballet-style shearling slippers in camel with a black bow. Tea cup – A pistachio and gold tea cup and saucer. The color is similar to the Bennet’s china pattern. Smelling salts – Did you know that they made artisanal eucalyptus smelling salts in Portland? Of course they do. This series is my favorite!